JAPAN: Sony to kill off the MiniDisc Walkman | What Hi-Fi? 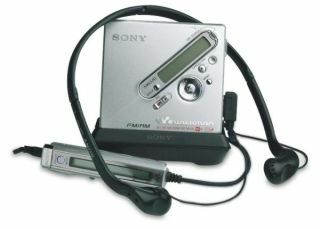 Reports are emerging from Japan that Sony is to kill off the MiniDisc Walkman this September. Japanese business daily The Nikkei is reporting that production could end as early as the autumn. It follows Sony's decision to end production of its cassette Walkmans last year. The first MiniDisc Walkman, the MZ1, appeared in Japan in 1992 – 13 years after the arrival of the cassette Walkman. But the MiniDisc got into a format battle with Philips's rival DCC (Digital Compact Cassette), and neither format really took off. The arrival of MP3 players, and in particular the iPod, revolutionised the portable music player market. By March of this year, Sony had sold 22 million MiniDisc Walkmans in total. Apple sells more iPods than that in a single year. Sony says it will continue producing the discs themselves after September, and will also continue to manufacture CD Walkmans.